Gildor's Forums > English Forum > UE Viewer / Umodel > Usage problems (Moderator: Blenux) > Exteel Textures not exported! I have the original file structure in tact when extracting, but even the most simple of commands get no textured models. What am I doing wrong? 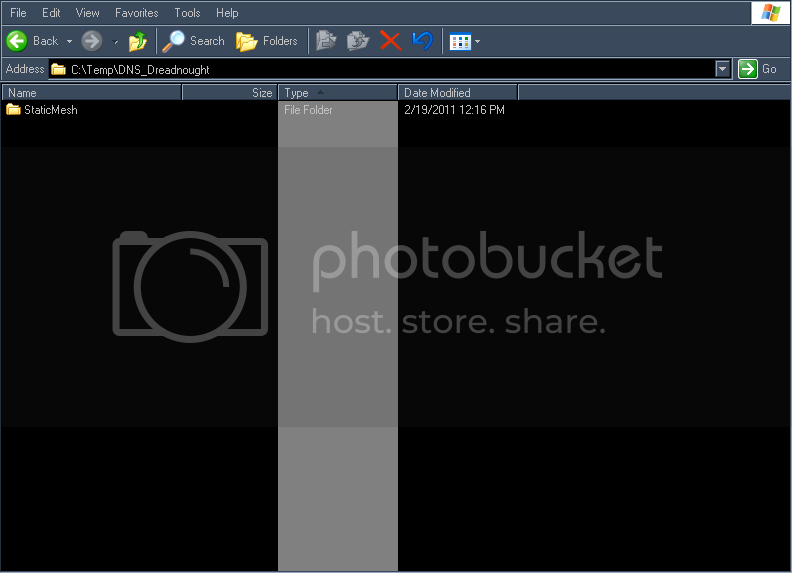 And I only get .pskx format files, on my last tries I got .psas which could be loaded but still no textures. Help me please. The viewer shows the parts perfectly textured, but export gets unusable junk. Man, I don' think I'm cut out forthis. 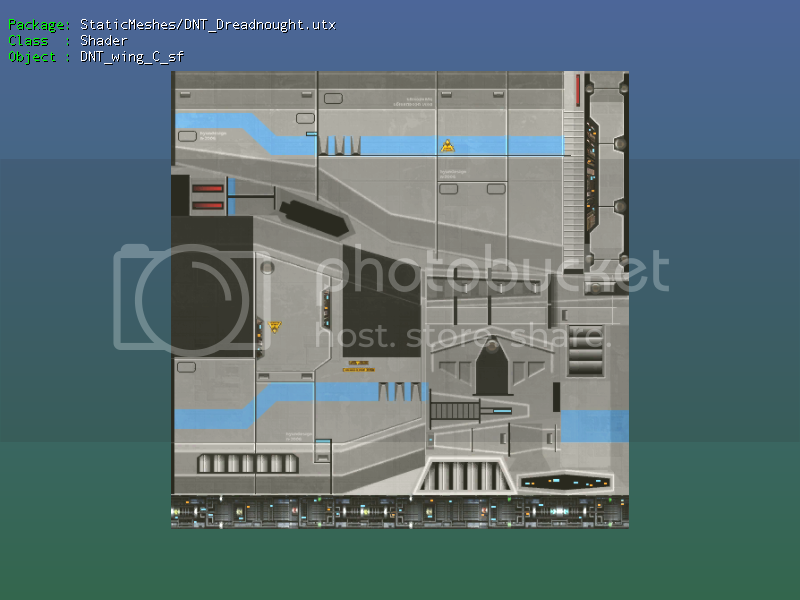 Re: Exteel Textures not exported! Give me an example of your export command. 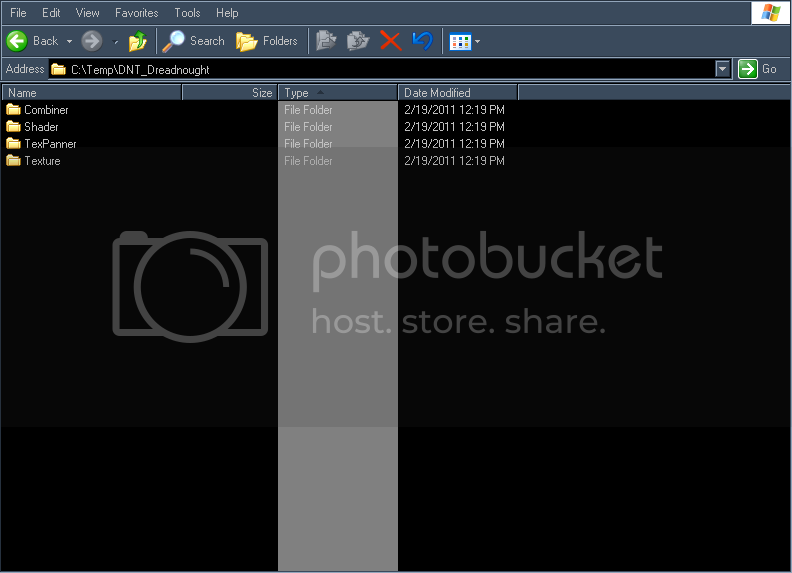 and I end up with .tgas scattered everywhere in folders, and file names don't match with any of the pskxs names. So I manually enter "umodel -export -md5 filename. ***" and I get nothing, but .pskx/.psax, no md5s no textures. They cannot even be viewed in your program. At least when I use "umodel -view 'filename. 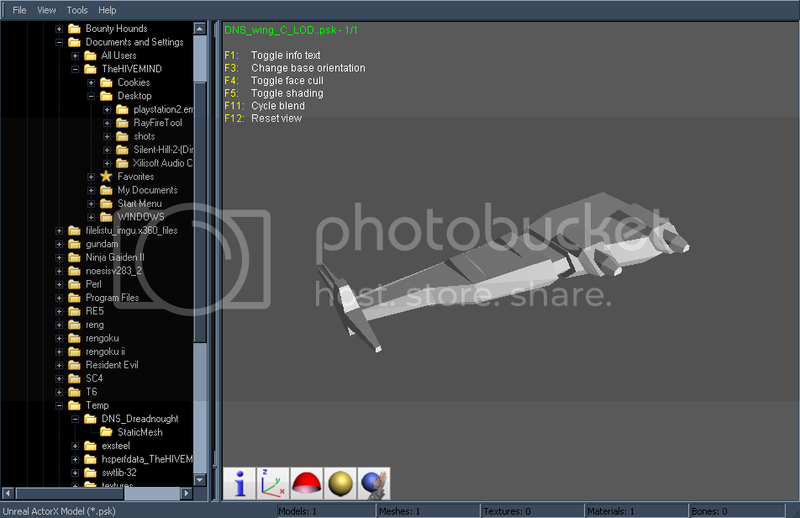 ***'" I see a textured model, but there's no export as-is command (well there's none at all). I've been reading some of the programs output and it seems it for some unknown reason has to convert all static meshes to the unreadable format .pskx/.psax, but skeleton meshes get .psa/.psk. How the heck do you override this? But I bet they're still not textured. Got another question, have you ever exported a model that had it's textures already applied to the model? Uh, but materials aren't the textures (.tga) and they're not applied when I load and (most likely when rendered too). no clue what I was looking at but whatever. There you have it, my fail in a box. Not textured. How do I get it exported correctly? Hell, I'm sure you could test it, Exteel (full installer) is still free for download. 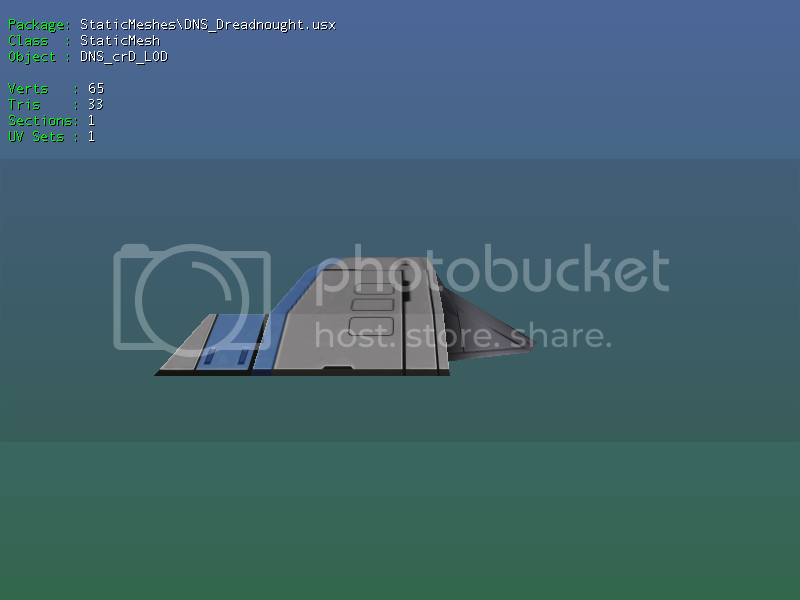 The second command line for export (with "-all" switch) is correct for exporting meshes with textures. But textures will be mapped only by ActorX Importer plugin for 3ds Max. Other tools will simply ignore texturing information. 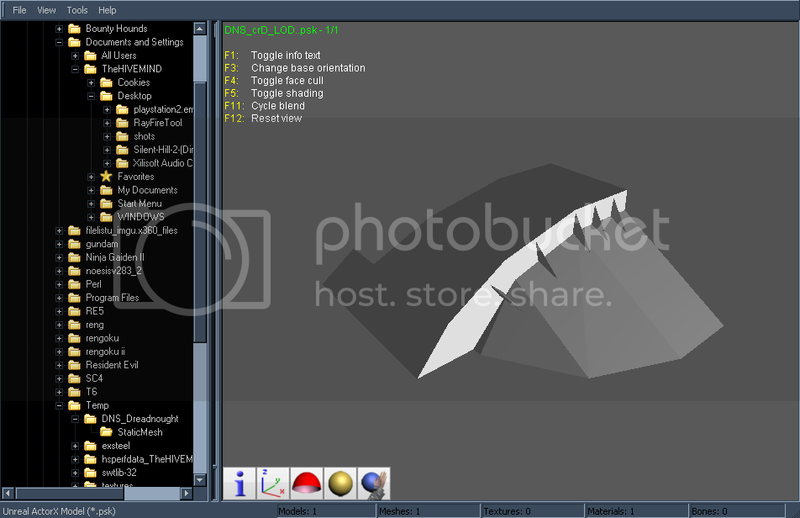 What tool are you using to preview psk meshes in explorer? Actually I've tried that just a few minutes ago, no luck. I'm using 3DS 9 and I browsed for a .pskx (then renamed it to .psk) inside the plugin but what was loaded was a texture-less mesh (needs specific settings?). The tool I tend to use for observing models is Noesis 2.83. I has a quicker loading UI and supports format add-ons, and is freeware so I prefer to use it. Can't edit, like 3DS but it has it's uses. Yes, you'll need to set up a "Path to materials" and enable "recurse" option in importer's settings. As I said before, this tool will not show materials. Also I can say that I'm familiar with Noesis PSK/PSA loading code and it have a lot of bugs. Example. Let's assume you have exported packages to the directory D:\Export. Some textures are placed in D:\Export\Package1\Texture2D, some in D:\Export\Package2\Texture2D, some in D:\Export\Package3\Texture2D. To allow ActorX Importer to find textures in all of these directories you should specify "Path to materials"="D:\Export" and enable recursion for search (otherwise importer will look in D:\Export directory only and not in the subdirectories). Alright! I got textures to load in Noesis and 3DS with the models. See, apparently the reason it wouldn't work was because of the textures it was calling for have to be in the same folder as the model (Noesis doesn't handle recursive asset calls?). The same does not apply to 3ds max (9) however, because of it's capabilities. Though, I think you'd have to change the directory of the folder it searches for textures (by default a window displays for configuration). Thanks for that "3DS" hint, I wouldn't have figured it out otherwise. Also, upon extracting the assets, your program renames the textures of some of the packages which is the reason why you'll still have untextured object whenever loading them. You should try fix this because there was a significant amount of textures I had to rename just to get 3DS or Noesis to find them. An example is many textures in Exteel have a _shd suffix in their name and your program ignores this and just removes it entirely. or sometimes even appends the texture a number at the end of the name and removes the _shd/_final/etc. 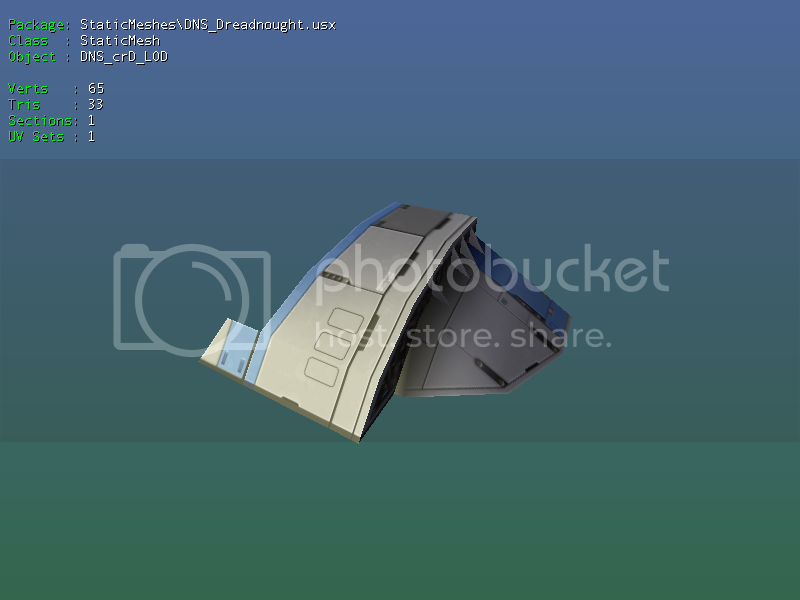 To your above post, when I hadn't figured it out I could have the textures in the same folder and the model would still show up textureless, hence why it is because of the file names. Umodel exports everything with the same names as these objects are stored in Unreal Engine. No renaming is performed and will never be performed. If mesh is textured in the viewer but not textured in 3ds Max - you have not configured ActorX Importer correctly. I don't care about Noesis with all its bugs. One of my friends spoke with the Noesis author and pointed out the bugs - but that guy is "too cool" to speak with regular people like me and you, and his advice is that to change psk format rather than fix his errors (which are, of course, "cool features" of his program).